Self proclaimed rock and metal fan Mike Weatherley, the Conservative MP for Hove and Portslade has pulled a rabbit out of the hat tonight. 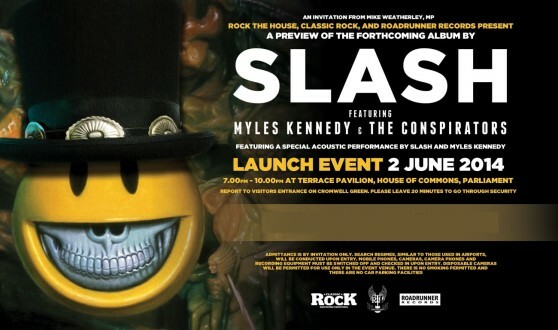 As the main organiser of ‘Rock the House’ series which has patrons such as Alice Cooper, Brian May, Young Guns, Ian Gillan, Rick Wakeman and more, he has been able to secure an exclusive launch event to promote the new Slash and Myles Kennedy release ‘World on Fire’ due for release in September. Weatherley, who is Intellectual Property Adviser to the Prime Minister, came on stage long enough to thank those in attendance for coming out and expressing sincere gratitude to Slash and Myles for agreeing to perform and support the ‘Rock the House’ series. At that point the two artists arrive on stage to a loud cheer from the small crowd made up of a mixture of competition winning fans and selective press and media representatives. 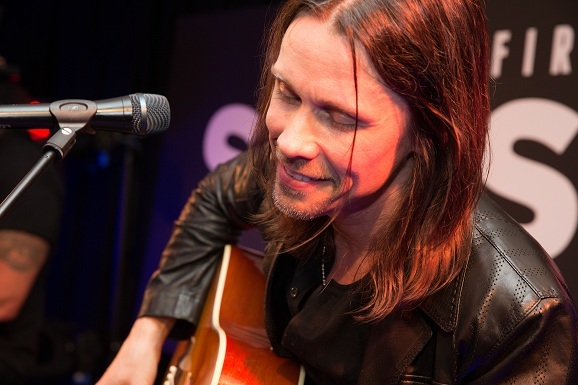 On ‘Starlight’ you have to wonder if Myles even needed a microphone such was the power and range in his voice. An amazing performance and one to be treasured by those present. The two artists compliment each other perfectly. When Myles is singing his voice draws the attention of the entire crowd and as he then pauses for breath during songs, the solos and leads that Slash is able to produce from an acoustic guitar are truly mesmerising. One thing is clear however and that is the fact that everyone here tonight is a fan. Although the set is short, the crowd is tremendously responsive and sing Sweet Child.. back to the pair word for word. 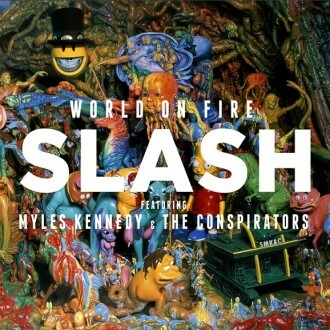 Slash Ft. Myles Kennedy and The Conspirators will release their new LP ‘World on Fire’ on September 15. 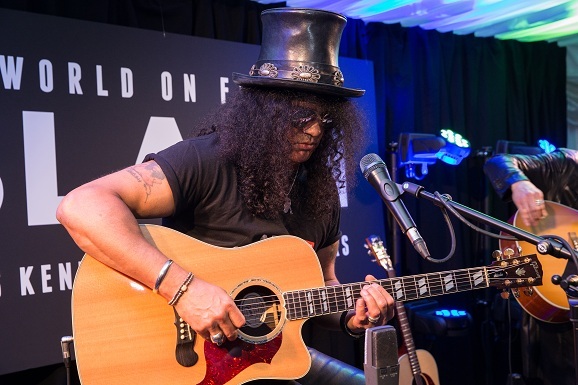 The crowd were also treated to an exclusive playback of the album and it’s fair to say that it is the most immediately accessible album released by Slash. 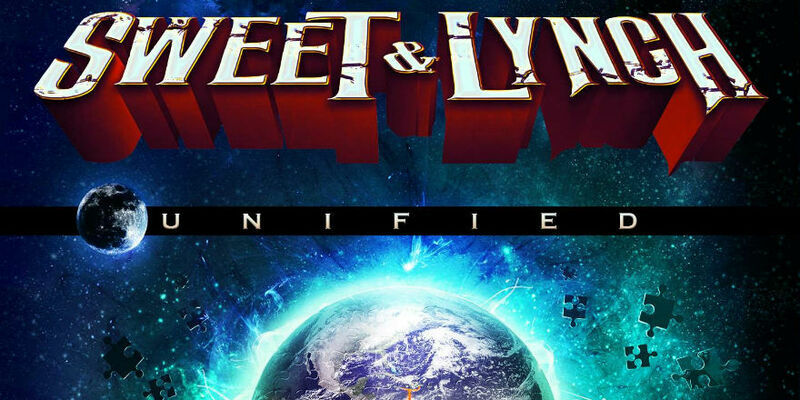 Opener and title track ‘Word on Fire’ grabs the listener and provides an anthemic chorus that instantly attains classic status. 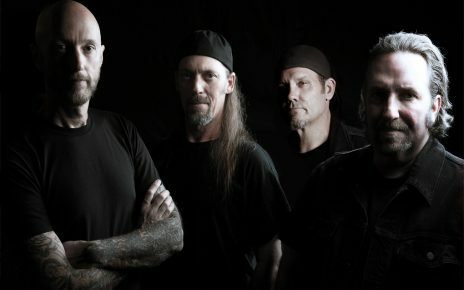 ‘Shadow Life’ with its’ slower intro follows and gradually builds into a driven hard rock track. By the time we are 4 tracks in, it’s clear that this is the album that will help them pull in new fans and keep the old happy. Instantly listenable by music fans of all ages, it’s no surprise that Slash is able, with each release, to play bigger venues. In London, the shows on the back of the first two albums were to crowds of around 5,000. This album sees them playing to around 12,000 at the famous Wembley Arena. 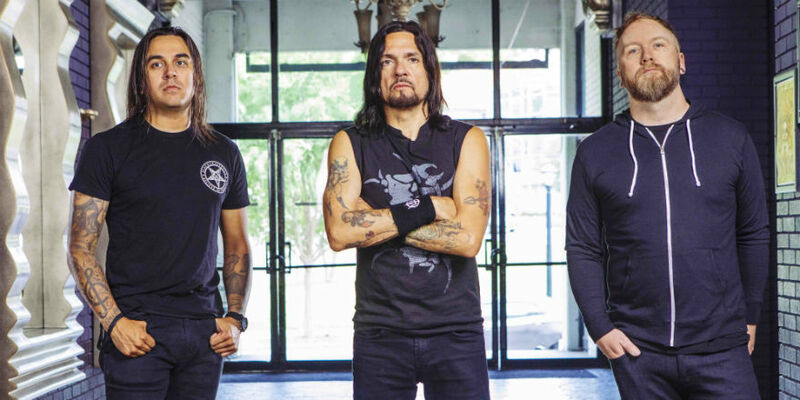 There are nods in the music to Slash’s former band Guns ‘n’ Roses aided in no small part by the fact that Myles can actually out Axl, Axl’s voice when the occasion calls for it. There are also great guitar breaks from Slash that feel almost ‘Muse’-like and echo some of Matt Bellamy’s best work. Overall, and it’s difficult to get a full feel for the music on a single play in a noisy venue, this is the album that will see Slash once again gracing the major world stages and deservedly so.